The Sage and Sparrow Conservation Area is a truly magnificent and nationally significant project in the South Okanagan Similkameen. The 3,440-acre (1,390-hectare) conservation area sits on the Canada-U.S. border near Osoyoos. It protects part of an international swath of rare grassland habitat. Sage and Sparrow is a crucial component of a migratory corridor for species moving between the desert areas of the western United States and the dry grasslands of interior BC. 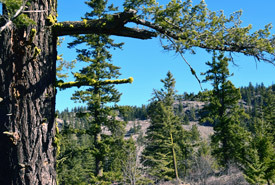 The conservation area was created through the acquisition of four connected properties southwest of Osoyoos. Each property brings distinct features to the overall conservation area. Together, they create a world-class refuge for many rare and endangered grassland species. 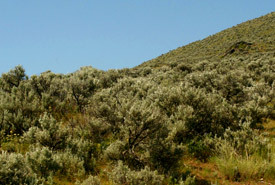 Sagebrush Slopes (protected 2012) is named for the fragrant bush that dominates the property. 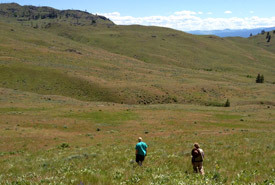 It's one of the most extensive sagebrush landscapes in BC. Pockets of trembling aspen woodlands flourish in the gullies on the property. They provide habitat for mule deer, ruffed grouse, magpies and a variety of cavity-nesting creatures. Two mouse species of conservation concern — western harvest mouse and Great Basin pocket mouse — thrive here. Sparrow Grasslands (protected 2012) is notable for the abundance of bird species — including at least seven species of sparrow — that frequent the area. The rolling hills of the property are covered in grasses and wildflowers, offering a significant contrast to Sagebrush Slopes. A magnificent canyon cuts through the southern portion of the property and features a natural spring that runs year-round. Standing atop a viewpoint at the edge of the canyon, visitors are treated to a spectacular view of the Similkameen Valley south into the U.S.
South Block (protected 2014) contains a rich mosaic of natural habitats that range from fields of sagebrush, open grasslands and rocky outcrops to dry interior forests and trembling aspen gullies. Small lakes are home to rare species, such as spadefoot toad and tiger salamanders. South Block hosts a burrowing owl reintroduction program. 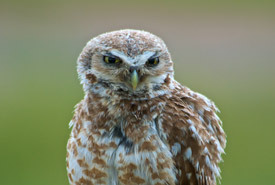 Thanks to the efforts of the Burrowing Owl Conservation Society of BC, the charismatic birds can once again be seen here in the summer. The diverse lands of Kit Carr (protected 2015) include grasslands, dry forests, a 10-acre (4-hectare) lake, aspen forests and gullies. All of these ecological systems are under significant threat of development and conversion to agricultural systems. Kit Carr Lake is a rare and important feature in this region. It provides critical habitat for waterfowl and at-risk species such as Great Basin spadefoot, western painted turtle and western tiger salamander. in 2012, we have documented 52 species at risk on these lands. We welcome you to come out and explore Sage and Sparrow by foot. There is an easy to moderate network of trails that you can follow to discover the incredible richness of this grassland treasure. For more details about visiting Sage and Sparrow, visit NCC's Nature Destinations website. Please tread lightly on these lands. No camping, fires or vehicles are permitted in this sensitive conservation area. Sage and Sparrow Conservation Area shares a significant portion of its border with the South Okanagan Grasslands Protected Area. It forms an integral habitat link between protected areas that allow for the movement of species between the Similkameen and Okanagan Valleys. This grassland ecosystem is one of the four most endangered ecosystems in Canada. The area is home to a diverse range of amphibian, reptile, bird and mammal species. Some of these occur nowhere else in Canada, or the world. The project area forms part of the Kilpoola Lake Important Bird Area. 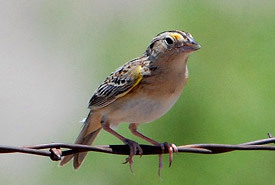 The sparrow and other bird populations on Sparrow Grasslands have been extensively researched by the Canadian Wildlife Service. They have provided a wealth of ecological data that will further conservation management efforts.